Once upon a Time in a Rainbow Forest far, far away from here a lot of colorful birds lived. They were happy, nice and friendly. And they got a quite unique competition, called whoooosh. Originally the word meant “the end of the day, when the young birds are going home before sunset”. It’s quite simple – about half an hour before sunset all young birds must go home to their houses, that is a family tradition in the forest, in the bird world. Once upon a Time in a Rainbow Forest far, far away from here a lot of colorful birds lived. They were happy, nice and friendly. And they got a quite unique competition, called whoooosh. Originally the word meant “the end of the day, when the young birds are going home before sunset”. It’s quite simple – about half an hour before sunset all young birds must go home to their houses, that is a family tradition in the forest, in the bird world. Of course all birds must go home to their respective houses: the yellow ones to the yellow house etc. In the latest generations whoooosh changed a lot from a simple „going home” to a real challenge. 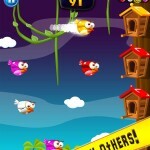 It’s a competition between the young birds, they even use leaderboards and so on. The whoooosh is very popular for that, all the birdies are waiting the end of the day to go and rally home in an organized manner to the best of the fun. Some parents want to stop this popular competition, want to end the challenge to destroy the leaderboards. They say, that going home before sunset must be not a game, must be a simple thing – just flight home and don’t compete. But the youngsters love all free competitions, and that makes this game very-very popular. 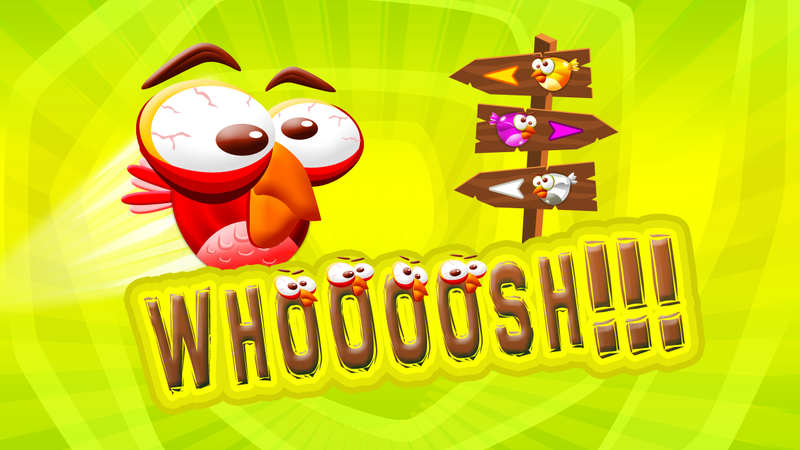 It’s not just a good way to kill the time navigating home, but the best way to challenge other birdies – and challenge is very important in the forest! Only leaderboards are most important! So angry parents in one side, youngsters with flappy wings doing whoooosh in the other side. Who are right? May these birds of the Rainbow Forest must have a competition, like this? Maybe it will be best to stop all? NO! You must experience freely how the whoooosh is working. 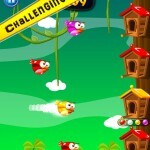 You must have an opinion, you must demonstrate the birdies, that this competition, this best challenge is simple, unique, and it’s worth to get into the leaderboard. And it’s simply one of the best games available in the Rainbow Forest. . Whoooosh!!!! 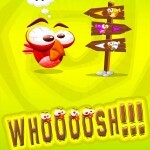 is a new, action packed mindgame for all you birdie lovers around. Simple, free and unique game of fun, concentration, action and thinking. Are you ready to play it? – compete with your friends or with the whole world!